C corporations are subject to double taxation. Double taxation occurs when corporate income is taxed once at the corporate level and again at the shareholder level as dividends are paid out. The cost of double taxation, however, is now generally less because of the 21% corporate rate. And double taxation isn’t a problem when a C corporation needs to retain all its earnings to finance growth and capital investments. Because all the earnings stay “inside” the corporation, no dividends are paid to shareholders, and, therefore, there’s no double taxation. 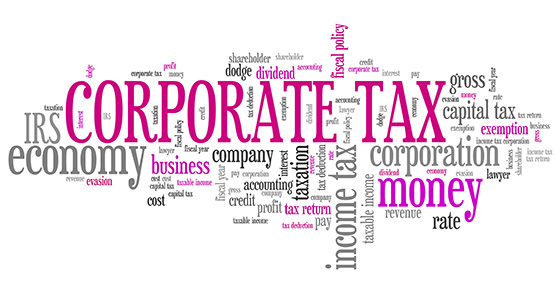 Double taxation also isn’t an issue when a C corporation’s taxable income levels are low. This can often be achieved by paying reasonable salaries and bonuses to shareholder-employees and providing them with tax-favored fringe benefits (deductible by the corporation and tax-free to the recipient shareholder-employees). C corporation status isn’t generally advisable for ventures with appreciating assets or certain depreciable assets. If assets such as real estate are eventually sold for substantial gains, it may be impossible to extract the profits from the corporation without being subject to double taxation. In contrast, if appreciating assets are held by a pass-through entity (such as an S corporation, partnership or limited liability company treated as a partnership for tax purposes), gains on such sales will be taxed only once, at the owner level. But assets held by a C corporation don’t necessarily have to appreciate in value for double taxation to occur. Depreciation lowers the tax basis of the property, so a taxable gain results whenever the sale price exceeds the depreciated basis. In effect, appreciation can be caused by depreciation when depreciable assets hold their value. To avoid this double-taxation issue, you might consider using a pass-through entity to lease to your C corporation appreciating assets or depreciable assets that will hold their value. C corporation status isn’t generally advisable for ventures that will incur ongoing tax losses. When a venture is set up as a C corporation, losses aren’t passed through to the owners (the shareholders) like they would be in a pass-through entity. Instead, they create corporate net operating losses (NOLs) that can be carried over to future tax years and then used to offset any corporate taxable income. This was already a potential downside of C corporations, because it can take many years for a start-up to be profitable. Now, under the TCJA, NOLs that arise in tax years beginning after 2017 can’t offset more than 80% of taxable income in the NOL carryover year. So it may take even longer to fully absorb tax losses. Do you have questions about C corporation tax issues post-TCJA? Contact us.